The Human Research Protection Program is responsible for all Ohio State research involving human subjects. The HRPP’s primary responsibility is to protect the rights and welfare of human research subjects, in accordance with Department of Health and Human Services (DHHS) and Food and Drug Administration (FDA) regulations. Online system for submitting or reporting to the IRB and for exempt determinations. Policies and procedures regarding the use of human subjects in research at Ohio State. Meeting dates for all IRB Committees. 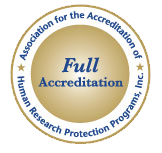 Training requirements for investigators and personnel who participate in human subjects research. Federal regulations and guidance, ethical principles and codes pertaining to human subjects in research. Resources for research participants at Ohio State.